The Twitter Joke Trial: The Punch Line. Later on this week the DPP is convening a workshop to consider how the CPS will approach decision making as to whether people should be prosecuted as a result of their use of the social media. It is reassuring that one of those people attending this event is David Allen Green, my instructing solicitor in the so-called Twitter Joke Trial. It is important that the DPP should listen very carefully to what he has to say because the events which unfolded and ultimately resulted in Paul Chambers being before the Lord Chief Justice should never happen again. Much has already been written on this case. Of course, as long as the proceedings were live, given the fact that I was representing Paul Chambers, it was not appropriate for me to write anything of length about the matter, particularly as for the last few weeks, the most senior criminal judge in the country, along with two respected and experienced colleagues, were considering what has turned out to be a significant judgment as to the conduct expected by the criminal law upon those who engage on the social network, and particularly Twitter. The Judgment in Paul Chambers v Director of Public Prosecutions  EWHC 2157 http://www.judiciary.gov.uk/media/judgments/2012/chambers-v-dpp-judgment is both clear and succinct and dealt with our arguments, so far as the court needed to, to come to a judgment in the case. It should be emphasized that any Appellate court does not need to deal with every argument raised by Counsel in the course of a hearing, only those matters which will be determinative of any decision that is required to form the basis of a judgment. This is perhaps why, those expecting to see a full consideration of the Article 10, Freedom of Speech provisions in the European Convention on Human Rights, will be disappointed. David Allen Green and I realised that the axis of the previous legal strategy, presented by Ben Emmerson QC was not going to succeed. Their argument was heavily weighted in favour of the Human Right, Freedom of Speech issue. One of the decisions that any legal team needs to make when practically considering the best way to put a client’s case is to focus upon what they think are the best arguments, the arguments which will win a case, rather than the most worthy arguments. It should be made very clear, I am one of the most passionate supporters of the Human Rights Act and in this case, Freedom of Speech. It was fundamental to our recent submissions in the ‘Occupy’ case and the rights relating to the protests outside St Paul’s Cathedral, but in the Paul Chambers case, it seemed to us that the route to success lay in an analysis of the criminal law. That is not to say that Freedom of Speech was not the stalking ghost behind all of our submissions and the Chambers case could perhaps be described as one of the most important cases on Freedom of Speech, without mentioning, in any significant respect, its name. So where are we as the dust begins to settle on the Twitter Joke Trial? A number of things can be distilled from the judgment of the Lord Chief Justice, and his analysis of the Communications Act 2003 Section 127. Paul Chambers, a 26 year old man at the time of the event was of previous good character when he posted the now notorious message, or joke as we now can legally call it, on the 6th January 2010. The message was posted onto the public time line which meant that although it was sent to his girlfriend, it was available to be read by some 600 or so Followers. The unfortunate series of events which then played out are now probably known by millions of people, culminating in his arrest at his place of work and a series of cases spanning 9 days in overall court time, all of this, despite the fact that on the 13th February 2010 it was observed that the South Yorkshire Police considered the message “a joke”. In passing it should be said that I agree with the gathering voices who are demanding an explanation as to why the CPS, in the face of all this, considered that it was worth expending very many hours and thousands of pounds of taxpayers money upon taking this man through the whole panoply of criminal courts that this country has to offer. It is perhaps sobering to compare the way the CPS have dealt with Paul Chambers and the court appearances of Abu Hamza to realise that there is little between both cases when it comes to the number of courts that have been required to engage with the issues. The word proportionality keeps coming into my mind every time I consider the role of the CPS in this case. After both Doncaster Magistrates Court and then the Crown Court, on appeal, maintained the defendants conviction under Section 127 (1) (a) of the 2003 Act http://www.legislation.gov.uk/ukpga/2003/21/section/127, the Crown Court stated a case for the High Court to consider. It is worth emphasizing this, as, contrary to some reports, this case was not a conventional appeal against conviction. 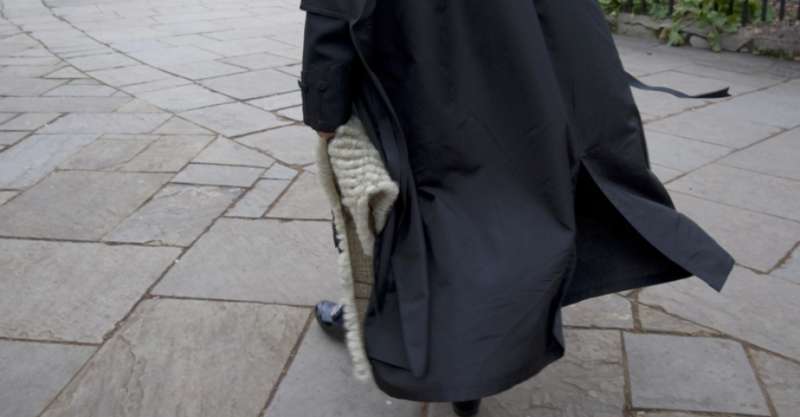 The relevant statutory provisions in relation to case stated appeals from the Crown Court (and indeed the Magistrates Court) are set out in the Supreme Court Act 1981 Section 28 http://www.banksr.co.uk/images/Statutes/R-S/Supreme%20Court%20Act%201981%20(as%20enacted).pdf, wherein any order, judgment or other decision of the Crown Court can be challenged, in this case on the basis of error of law. 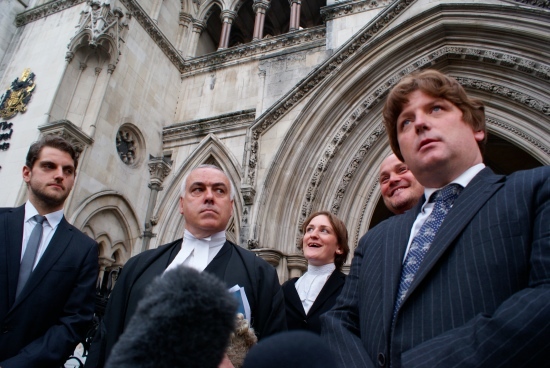 Importantly, when it comes to considering whether the DPP could have withdrawn his opposition to case stated procedure, Practice Direction 52 http://www.justice.gov.uk/courts/procedure-rules/civil/rules/pd_part52 provides that where the parties agree as to terms of disposal of the matter, it can be listed as an uncontested proceeding without the necessity of the parties or their representatives having to attend. The DPP did not take this step. The case stated to the High Court turned upon a definition of the words “of a menacing character” contained within Section 127 (1) (a) of the 2003 Act. We decided to direct the attention of the court to the Actus Reus and Mens Rea elements of the offence. Interestingly, right up until the final hearing, the Prosecution were arguing that there should be no requirement of intent on behalf of the sender of the message. This was a dangerous submission and one which had to be dealt with comprehensively. 1] A message which does not create fear or apprehension in those to whom it is communicated, or may reasonably be expected to see it, falls outside the Act, because it lacks menace. 2] The test is an objective one. 3] The message needs to be examined in its context. 4] The mental element of the offence is directed exclusively to the state of mind of the offender, and that if he may have intended the message as a joke, even if a poor joke in bad taste, it is unlikely that the mens rea required before conviction for the offence of sending a message of a menacing character will be established. This is an important case on a number of levels, yes for Freedom of Speech, of course for the right to make a joke, which should, perhaps now be enshrined in the Convention, but it also provides a timely warning, that however sensible the law, it is always at the mercy of thoughtless, careless and insensitive application. I am standing for Vice Chair of the CBA. Here is my manifesto. Any comments or observations (hopefully polite!) are welcomed. Over the last decade, I have been representing the Criminal Bar both on the CBA and the Bar Council. During that time, I have developed a reputation as one who fearlessly and independently stands up for the criminal barrister in whatever forum that becomes available so that our voice is heard. I will continue to do this. For instance, I demanded that the Bar Council expose the potentially corrupt practice of referral fees and forced it to the top of the agenda in numerous CBA and Bar Council meetings. In my time working on the CBA Committee, I have seen genuine and committed negotiations undertaken on our side by people of integrity, only to see them undermined by the duplicity of politicians. There is, of course, a place for continued negotiation, there always will be, but there is also a time to admit that Government have taken us for granted and abused our goodwill. That time has come. I do not hesitate to say now that I am in favour of properly considered, carefully planned, industrial action, whether it be a complete withdrawal of labour or more targetted, subtle, but effective withdrawal of cooperation. We are at a time in the history of our profession when we cannot afford to be cheated upon again by government. The next two years or so will be critical for the Criminal Bar. Without any doubt, the Coalition Government will be developing and implementing legislation as their last throw to influence the General Election. We know only too well how the last Government rushed through legislation in the dying days of their power to attack the livelihoods of criminal barristers. There are major challenges ahead. We must oppose proposals which could result in ‘one stop shops’ for solicitors and be vigilant to oppose the implementation of block contracts and unfair price competition which is just around the corner and only last week supported by Ken Clarke. Preserving the separate and distinct identity of the Criminal Bar will be a major challenge in the next few years and the CBA must encourage new business models and practices which will allow us to compete on an even playing field with solicitors. Quality Assurance will not go away and we need to make sure that whatever regime may be put in place, it is structured so as to reflect the talents and abilities of the Criminal Bar. Ultimately, if this is not achieved, I would not hesitate to advocate withdrawal from the scheme. As someone who does a significant proportion of work on Circuit, I will ensure increased and significant engagement between the CBA and the Circuits. There is always a concern that the CBA can become London orientated. Over the last year or so, we have been attempting to correct this and conferences on Circuit have been a great success. As Editor of CBQ for nearly 7 years I have always sought to reflect the Circuit view as well as all in the rank and file of our profession. But more can be done to involve the Circuits. As SE Circuit Representative on the Bar Council, I am acutely aware of life as a circuiteer and I will encourage the trend of more meetings on Circuit and opportunities for regular Q & A Sessions around the Country to give everyone a real chance of getting involved. The Criminal Bar is a broad church. As a product of a Comprehensive School I have for many years been a campaigner for social diversity. My work for the Citizenship Foundation in support of State School students taking an interest in the work we do is but one example of the central spine of my belief. Fairness. I have no aspirations for future preferment, but my aspirations for the Criminal Bar are significant. In the old days, candidates would be expected to include within their manifesto, their views on detailed policy, I hope that I have done that. But my manifesto in this election is nothing short of a promise to stand up to those who are attacking us….whoever they may be. Voting online has started now. Please access https://www.criminalbar.com/ to vote.